Built-In Sat Navs Explained - Which? 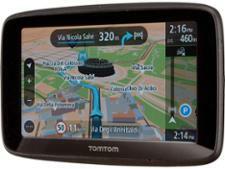 What's the difference between using a built-in sat nav in your car and a standalone sat nav or app? Our guide will help you choose the best option. 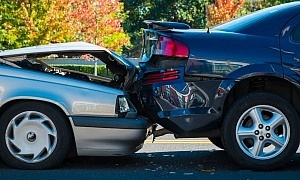 When buying a new car, you may be offered a built-in sat nav as an add-on purchase. It can be a significant investment, often costing a lot more than a standalone sat nav or a sat nav app for your smartphone, so it’s important to understand whether it’s worth it. Navigation quality is key - any good sat nav system should be able to get you to your destination smoothly, without last minute U-turns or dizzying trips around a roundabout. But the various types available will also have different features, add-ons and costs. We can help you pick which type is best for you. To find out more about each option, select built-in sat nav, sat nav or sat nav app in the tool below, and explore the features on offer by clicking on the information hotspots. If you're on a mobile device you'll need to scroll down to the 'features' tab at the bottom of your screen to explore. If you already know that a standalone device or smartphone app is for you, visit our Best Buy sat navs and sat nav apps. What is a built-in sat nav? A built-in sat nav will often be an optional extra chosen by the first owner of a new car, but increasingly they come as standard – all new BMWs now come with a built-in sat nav, for example. They are generally installed in your car as part of the centre console, and are difficult and sometimes impossible to retrofit. Built-in sat navs are generally controlled via traditional dashboard buttons or a touchscreen. As with a dedicated sat nav, a good built-in device will be simple to use and will get you from A to B smoothly. We don’t actively test built-in sat navs for performance and accuracy, but we do perform a few simple usability checks as part of our in-depth car lab test procedures – and if an in-car system is particularly fiddly or frustrating to use, we’ll say so in our car reviews. Through the annual Which? Car Survey, members have reported issues with built-in sat navs, such as inaccurate mapping, poor guidance and high prices for map updates. Pros: Some cars come with a built-in sat nav as standard. They'll often have other media entertainment systems included, too. Cons: If it isn't included as standard, a built-in sat nav can be an expensive add-on, and map updates may cost extra and need to be installed at a service centre, too. According to a snapshot investigation into nine popular car brands we carried out in May 2018, the cost of updating built-in sat nav maps can range from free for the lifetime of the car to £164 per upgrade. In a Which? survey, 68% of people said they'd never updated their built-in sat nav maps. 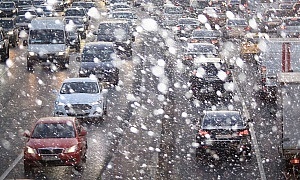 Traffic alerts won't be very responsive when compared with devices that have live traffic data (particularly in older cars) and may be on a subscription basis. Decided a manufacturer fitted sat nav is for you? Head to our built-in sat nav reviews to find out which is best. 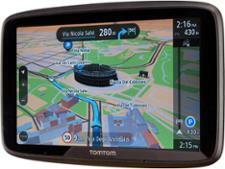 How much does a built-in sat nav system cost? Built-in sat navs now come as standard on many cars or as part of an upgraded trim package, but if the model you’re interested in doesn’t have one as standard, a sat nav can nearly always be specified as an option. Prices vary enormously, from a few hundred pounds to well over £1,000 for the most advanced models, partly because they can only be selected as part of a high-end multimedia system. Built-in sat navs can help a car retain value, particularly on more premium models, where buyers expect one to be included. Dedicated sat navs cost anywhere between £60 and £350, and you can pick up a Best Buy sat nav for as little as £70. Sat nav apps tend to be cheaper than dedicated devices, and we’ve even found a Best Buy that offers 50 free miles of navigation per month. If cost is important, see our pick of the best cheap sat navs for 2017. What is a dedicated sat nav? Dedicated sat navs are standalone devices and have one function – navigation. They work straight out of the box and are usually installed using a suction mount fixed to your windscreen. We put all dedicated sat navs to the test using a GPS simulator, which replicates driving a set route, including minor and major roads, as well as a variety of junctions and roundabouts. We assess the quality of the guidance given, including how clear and timely the instructions are. A good dedicated sat nav will be a breeze to use, and will have clear mapping combined with easy-to-follow audio and visual guidance. The worst from our tests could have you driving in circles, as the instructions are difficult to understand and lack useful guidance features such as a lane assistant. 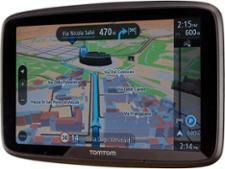 Standalone sat nav screens are anywhere from four to seven inches when measured diagonally. The best large-screen sat navs will give you a clear view of the map, even while you're focused on driving, and the menu icons will be easy to see and select. The best smaller devices tend to be more discreet on the screen while still being easy to read, and are easier to carry around with you when you’re not using them. Whatever the size, the screens of the best standalone devices are designed to minimize windscreen glare. 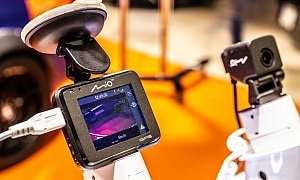 We’ve tested dedicated sat navs from leading brands Garmin and TomTom, as well as lesser-known brands Mio and Snooper, and have found plenty of great models for every need and budget. Head over to our sat nav reviews to find out about all the models on test. Pros: Built with navigation in mind, dedicated devices usually have good speakers and matte, non-reflective screens, and most come with free map updates. Some also offer live traffic updates, which can prove handy if you want to avoid delays. What is a sat nav app? Available for your smartphone, a sat nav app is a convenient option – simply download and begin navigating. Apple users can download apps from the App store, and those with Android smartphones should search Google Play. Windows users have less choice, but compatible sat nav apps can be found in the Microsoft Store. Every app goes through the same tough testing as a dedicated sat nav. But we know that there are other considerations when using an app on your smartphone, so we also check the impact it will have on the phone's battery life, and how much mobile data it will use to plan and navigate a route. The best sat nav apps replicate the experience of a dedicated sat nav and offer similar useful features, such as traffic information, and speed camera and lane departure warnings. But we have also found some Don’t Buy sat nav apps – the worst will have overly busy maps and inaccurate or late instructions that could lead to dangerous last-minute turns and lane changes. Pros: Apps are a cheap option and are easy to update. They're also extremely convenient, as you'll always have your phone with you.